To get to Edinburgh from London, we decided to take the train. 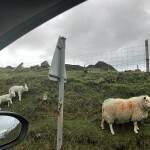 Reason being, driving from London to Edinburgh would take about 7 hours, and we were not up for that sort of long drives. 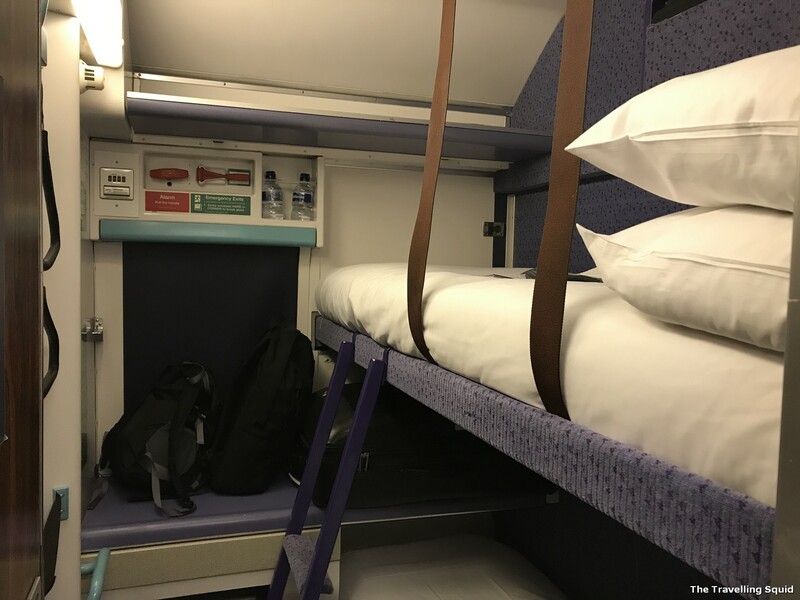 In addition, the Caledonian Sleeper was a night train, and we could use the train ride as accommodation for one night, thus killing two birds with one stone. We got some time savings as well. 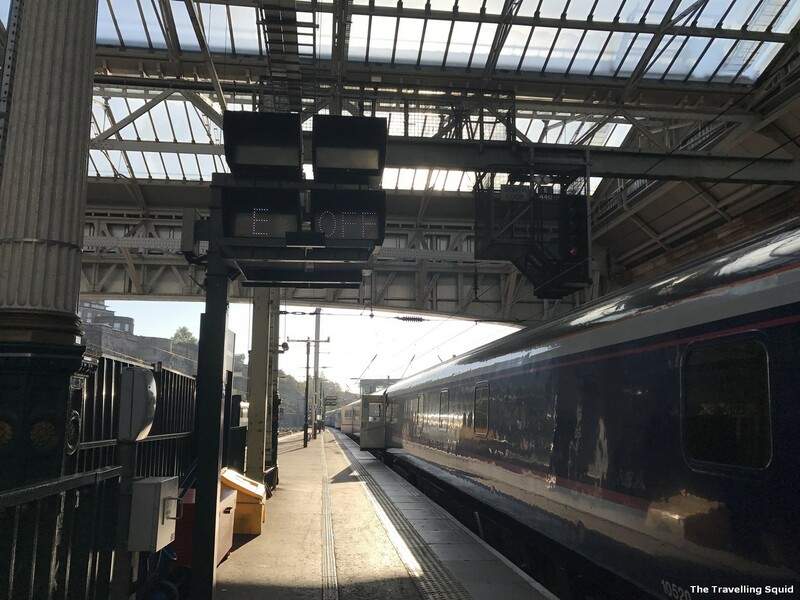 Here’s an account of us travelling from London to Edinburgh on the Caledonian Sleeper. 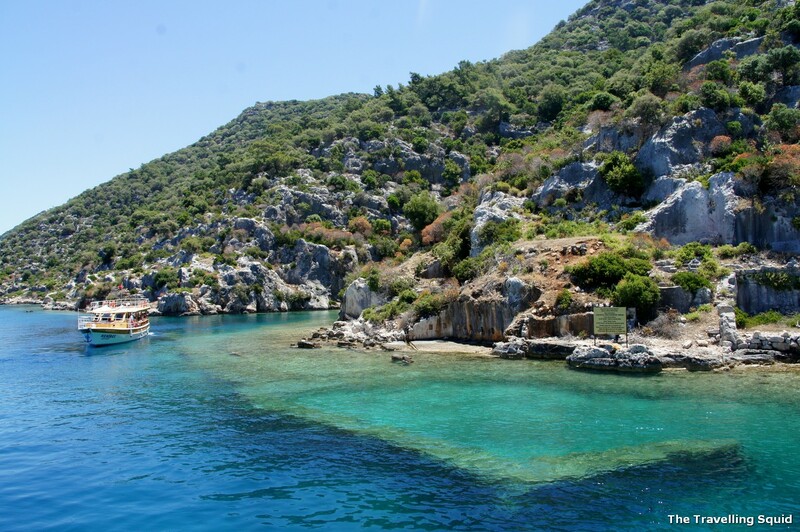 If you’re thinking of making a similar trip, hope this comes in helpful. We boarded the train about 30 minutes early, as it was at the platform when we arrived. It was good because it gave us some time to settle down and get ready to sleep right when the train moved. 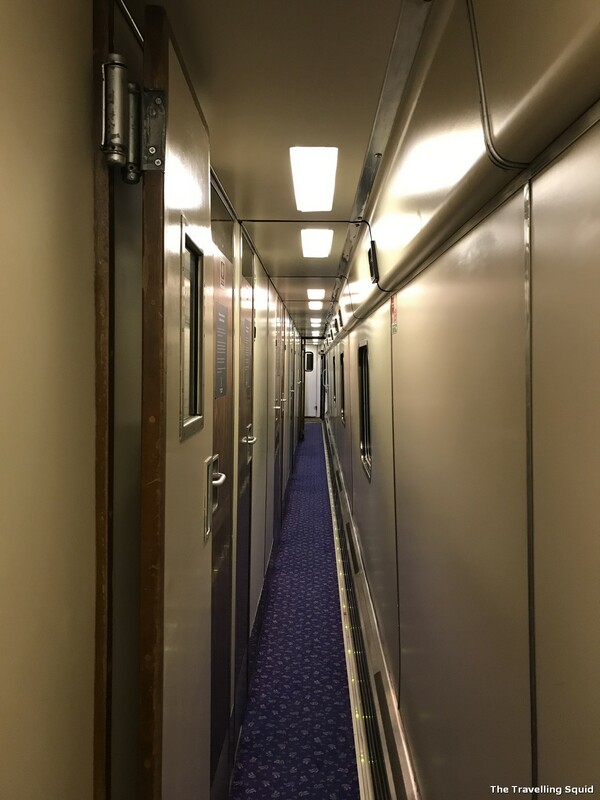 Unlike trains in Asia where the private compartments come in berths of four, the standard cabins came with two berths each, which is great for privacy especially if you’re travelling in pairs. If you have four people, there can be an arrangement to open the door between compartments. It costs SGD193/ £108 for a ticket, which is okay value given that it’s part of accommodation for one night as well. The compartment was pretty tiny to be honest. Not great if you’re carrying huge suitcases (30/19 inches), huge enough to take home bottles of delicious Scotch. Don’t even think of storing these suitcases on the top shelves. They don’t fit. The bunk was really narrow – our big suitcases couldn’t fit the shelf upstairs. Like a little desk – it wasn’t draining. I was quite happy to hear that the compartment came with a wash basin. But I soon learnt that the water did not drain from sink, like how sinks are supposed to perform. 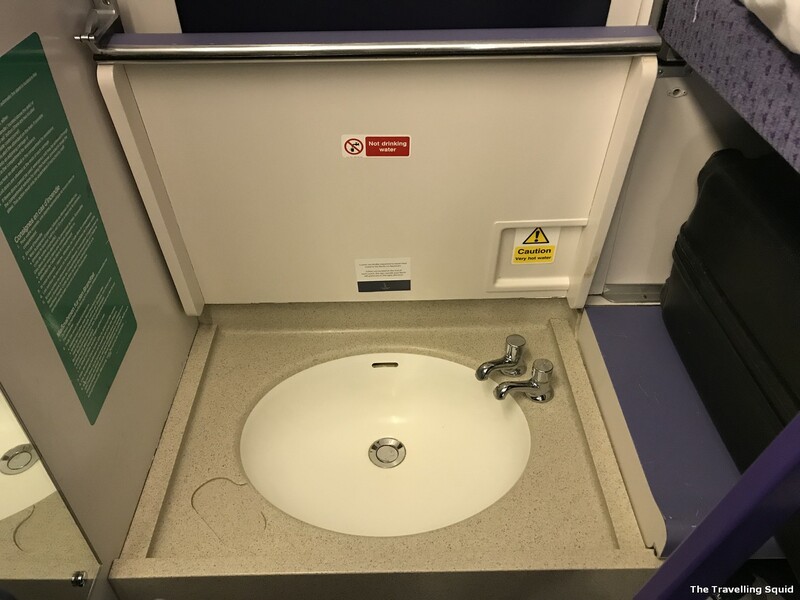 As I was Googling about how to use the sink on the Caledonian Sleeper, I read that some inconsiderate male passengers had used the sink as a urinal. With that imagery in my mine, I couldn’t use the sink anymore, or even continue to try to make it work. I ended up walking over to the common train toilet to brush my teeth. It was fine – clean and all. The sink – it’s inadvisable to use it I guess. Like the Trans Siberian, the corridor of the train was pretty narrow. 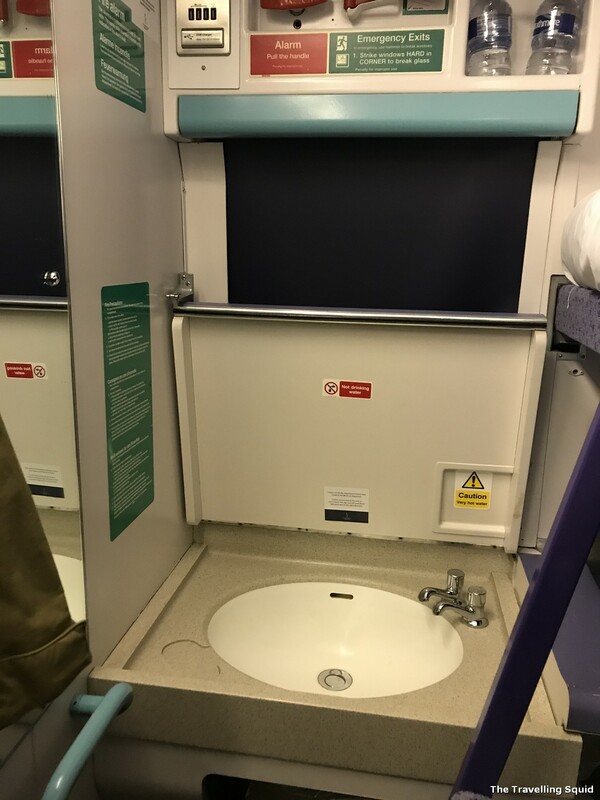 The toilets were clean – I strategised and was one of the first few passengers to use them. The train attendants were considerate enough to ask if we prefer tea, coffee or orange juice (OJ) in the morning. We were awaken at about 6.20am in the morning, not by the train attendant, but by our neighbour who decided to broadcast an audiobook in the morning. The walls are extremely thin and noise passes through quite easily. Thankfully S told him to keep it down, and he did. 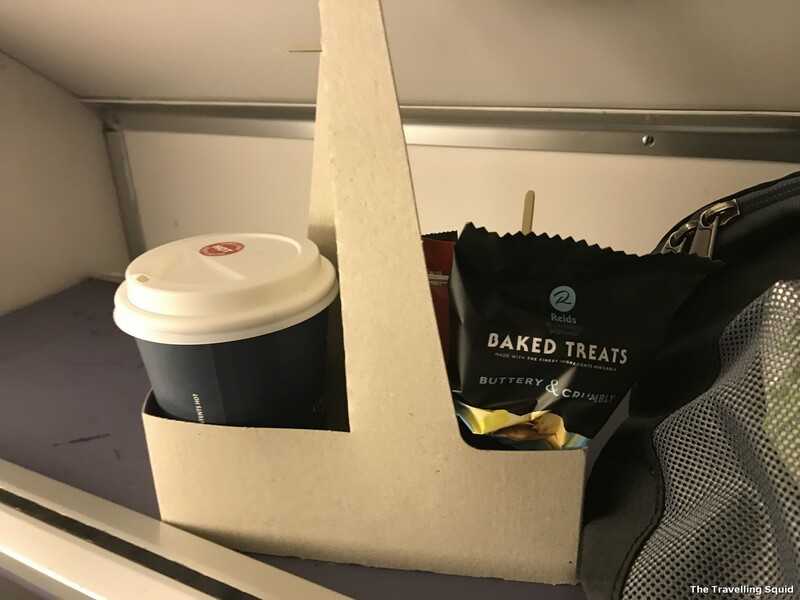 The ‘care pack’ came with a coffee bag and a type of packeted short bread – which was really welcomed, given the taxing morning which lay ahead of us. Arriving at the Edinburgh Waverley railway station. Arrived the next morning, bright and sunny. If you’re the rough and rugged kind of traveller, the Caledonian Sleeper makes a lot of sense. It saves you some travel time as you’re travelling through the night, while asleep. The berths were pretty comfortable. The sheets were clean, and perhaps it was the chugging and mechanical sounds of the train carriage that allowed me to sleep really well. It would have been perfect if we were heading for a short getaway and had less luggage. Minus that strange experience with the sink, the compartment was pretty decent. Just a warning – the walls are really thin, whatever you do can be heard by the person next doors, so please, do not blast your audiobook in the wee hours of the morning. Bring ear plugs and an eye mask if you’re sensitive to noise and sound. For me, it was the cabin lights which were a tad glaring. 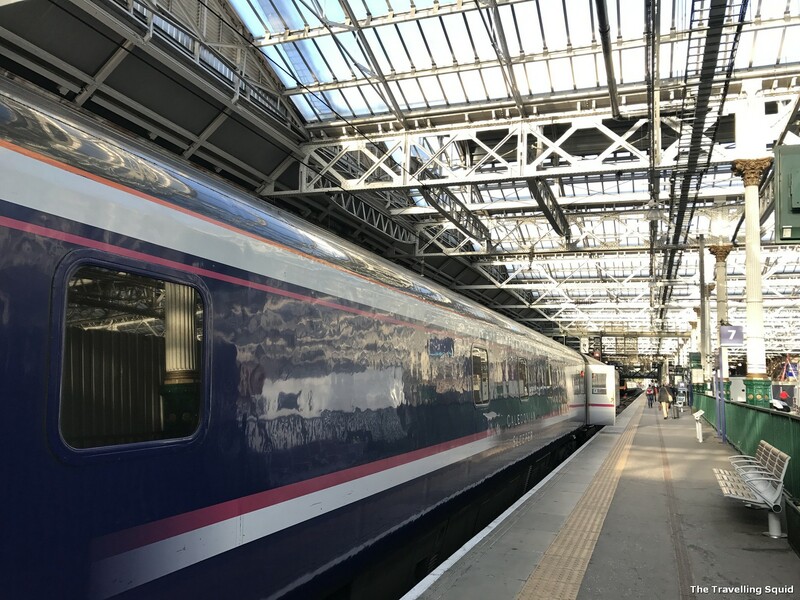 Have you taken the Caledonian Sleeper? Do share your thoughts in the comment section below. 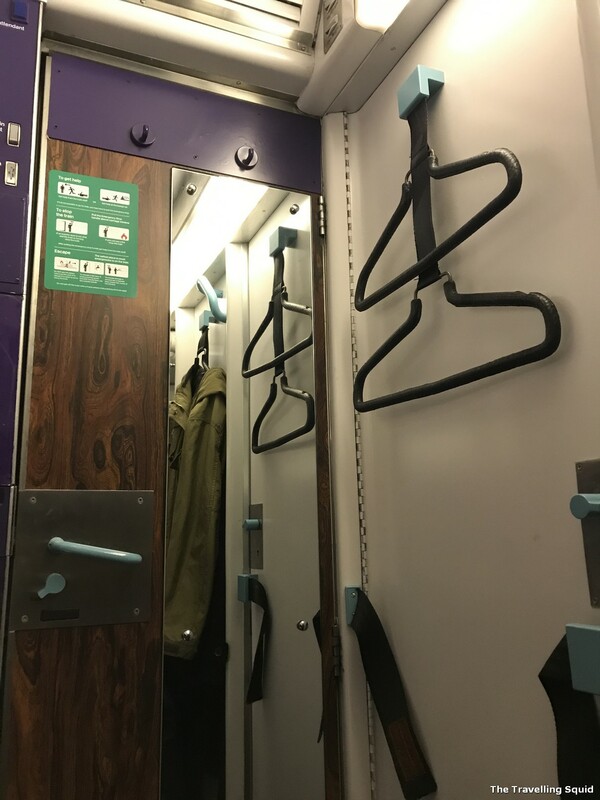 2 Responses to "Review: Travelling from London to Edinburgh on the Caledonian Sleeper"
There are switches on the wall beside each berth which allow the occupant to either dim, or to turn off, all of the lights in each Sleeper cabin. There’s a small, blue Night Light which can be left on to reassure children who are sharing a cabin. In order to drain away the contents of the wash basin in your cabin, you need to press on one side of the metal plug with a finger or other implement. The “plug” rotates on its hinge to the vertical position and the dirty water drains away. 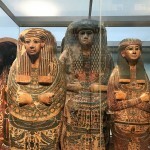 Regarding large suitcases, they can usually be fitted, on their sides, in the space beneath the lower bunk. As you say, the cabins can’t in any way be described as “large” but given that only 24 people can travel second class in a Sleeper carriage, compared to 88 in a high-density Inter City seated carriage, and the Caledonian Sleepers loose a lot of money every year, the price of a ticket is still pretty reasonable. 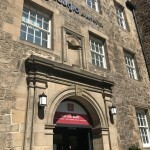 Standard Class travellers can usually access the Lounge Car, where it’s possible to enjoy a very reasonable, Scottish-themed meal, for around £25. 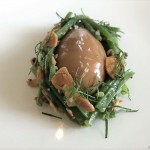 Thanks for sharing the information – it is very helpful, I’m sure for other readers as well. Once again, a big thanks for addressing the mystery of the train basin too. 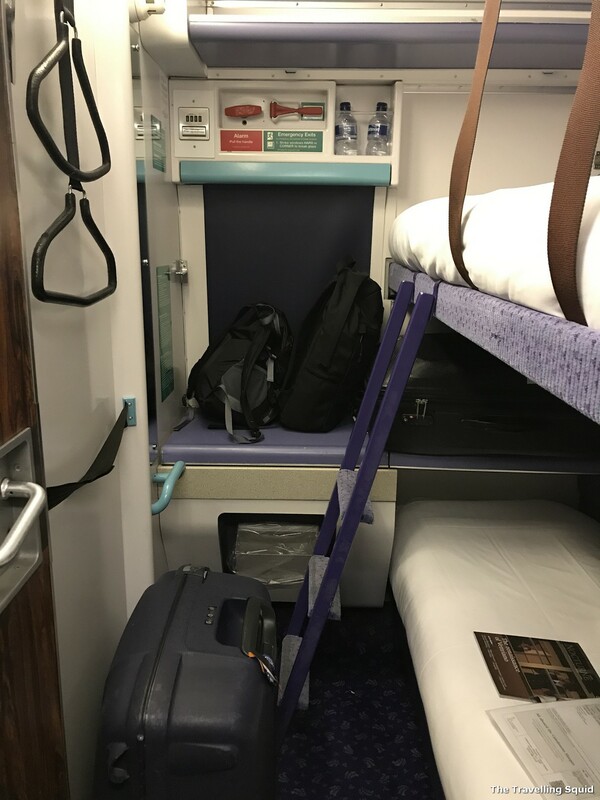 Wasn’t aware that the Caledonian sleeper would be losing money – it seems like the best, most comfortable way to travel from London to Edinburgh.